Join your peers in Las Vegas March 19–21 for Oracle’s only conferences dedicated to cloud applications. Modern Business Experience showcases innovation in finance, HR, and supply chain solutions, where teams may dive deeper into their functional areas or explore new ways of defining what’s next. Modern Customer Experience presents the latest strategies and best practices for delivering legendary results through marketing, service, sales, and commerce. Because Cloud Customer Connect is such an important part of the cloud ecosystem, we are excited to announce a custom discount created just for our members. Code ModernCCC secures you and your colleagues a $995 registration rate for either conference. Use discount code ModernCCC to register for Modern Business Experience or Modern Customer Experience today! We have recently launched an additional Integration Resource forum for Human Capital Management (HCM). You can now access an overview of the common integration use cases that can be met with Oracle Integration Cloud in conjunction with HCM Cloud. We provide a series of template examples, guides, and information to help you jump start your integration efforts. Register for Quick Start Live Events, Oracle University’s free, live, virtual training opportunity for SaaS essentials and product overviews. 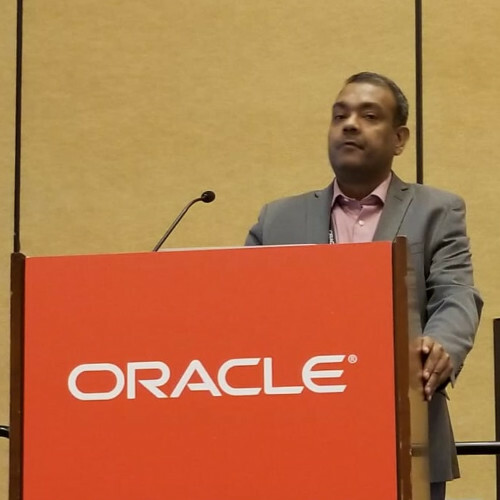 Review the 2019 schedule for new training dates, then register to join a half-day session presented by top Oracle Cloud instructors. We are pleased to announce the availability of a new resource page for those HCM Cloud customers using HCM Cloud Payroll. Here, find focused content, readiness task/timeline guidance, and access to subject matter experts on the Payroll Year-end and Year-begin process and associated statutory updates. The new forum will provide readiness content links and updates on readiness events, reviews and status as well as a threaded discussion to address Q&A issues on this topic. Kudos to our Top Innovators of 2018! These members have demonstrated their creativity by getting the most ideas delivered as product features within the past year. Interested in building your reputation on the community? Check out our Reputation Management page for more information. Akira Ooki, Kyowa Hakko Kirin Co., Ltd.
Financials Cloud: We Want to Hear from You! Join us on LinkedIn today!